Replacing internal combustion engine cars with electric cars has the potential to greatly reduce greenhouse gas emissions from the transportation sector. Electric vehicles currently make up a small fraction of the marketplace, and researchers are interested in understanding what it would take to make car buyers more enthusiastic about going electric. “High purchase costs and short driving ranges have been considered to be the main factors which impede people’s decision to buy electric vehicles,” says Kenan Degirmenci, a postdoctoral researcher at the Queensland University of Technology Business School. But Degirmenci and Michael Breitner, a researcher at the School of Economics and Management at Leibniz University Hannover in Germany, found that people’s willingness to buy an electric car is driven to a surprising degree by altruism: they want to know their purchase will really benefit the environment. In a study published in the journal Transportation Research Part D, the researchers surveyed 40 people in Hannover, Germany about their knowledge of and attitudes toward electric vehicles. Most of the participants’ comments concerned one of three topics: price, convenience (things like the availability of charging stations and the distance electric cars can travel on a charge), and environmental benefit. In fact, the largest number of comments focused on environmental benefits. All but one of the survey respondents said that sustainability is the main factor in favor of purchasing an electric car, and nearly half opined (correctly) that electricity has to be produced from renewable sources in order for electric cars to be a green alternative. These answers suggested that environmental performance is more important to determining people’s attitudes about—and in turn, willingness to buy—electric cars than price or range considerations. To test this hypothesis, the researchers invited 167 Hannoverians to test drive a plug-in electric car. (This was done to ensure that people’s attitudes would be based on at least a passing familiarity with the vehicles.) Then they administered a questionnaire that measured the drivers’ views on the environmental value, price, range, and intention to purchase an electric vehicle. The results of this second survey confirmed that yes, environmental benefit is the strongest predictor—ahead of price and range concerns—of people’s attitudes about and willingness to buy electric cars. That’s important because, as the respondents to the first survey noted, the environmental benefit of electric vehicles depends on the availability of clean energy. In Germany, about 30 percent of energy comes from renewable sources. In the United States, where half of electricity is produced by burning coal, a switch to electric vehicles would actually increase greenhouse gas emissions associated with the transportation system. 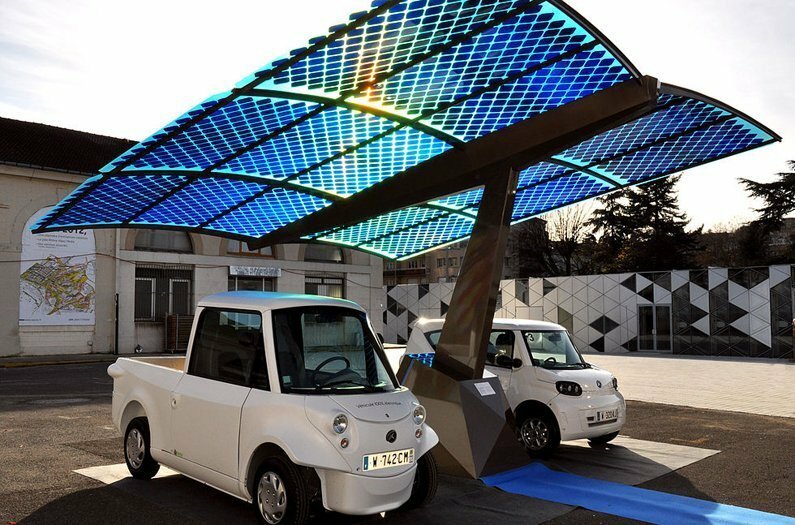 Though the current study is rather small, the results suggest that increasing the availability of renewable electricity would also encourage more consumers to buy electric vehicles, multiplying the benefits. Source: Degirmenci K and MH Breitner “Consumer purchase intentions for electric vehicles: Is green more important than price and range?” Transportation Research Part D. 2017.